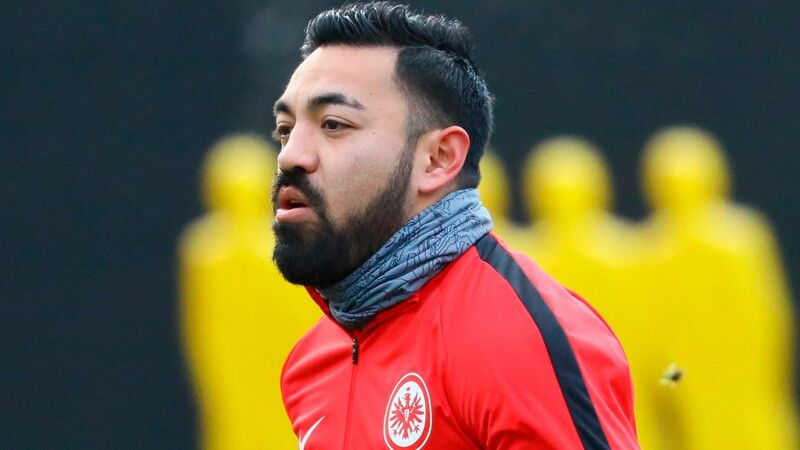 Eintracht Frankfurt attacking midfielder Marco Fabian has returned to full training after recovering from back surgery that has forced him to miss the entire 2017/18 campaign so far. The Eagles were one of the first Bundesliga teams to begin their preparations for the second half of the season when they returned to training on Saturday, with head coach Niko Kovac putting his charges through a double session. Fabian was joined on the pitch by fellow returnee Omar Mascarell, who is fit again following Achilles trouble. "It's great that both of them are back now," said Kovac. "They'll help us to improve. I'm really delighted they've returned, but I won't put them under any pressure. "Fabian's got an eye on the 2018 World Cup," continued Kovac. "He needs playing time in order to make the squad. We want to give that to him, but we'll have to wait and see when that will be." Fabian was plagued by a persistent complaint in his lower back during the summer. The 28-year-old Mexico international was forced to rest and undergo a conservative course of treatment with a specialist, but when that proved ineffective, he underwent surgery at a clinic in Houston, Texas. Frankfurt, who are currently eighth in the table, jet off to Alicante in Spain on 2 January for a warm-weather training camp before facing Freiburg at home on 13 January as the Bundesliga restarts following the winter break.